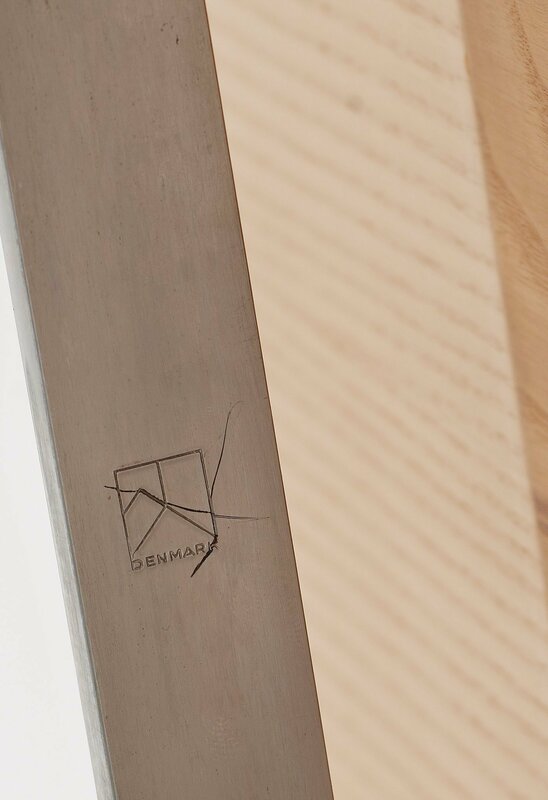 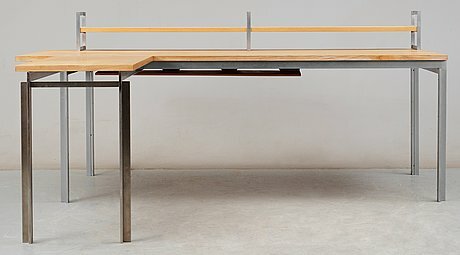 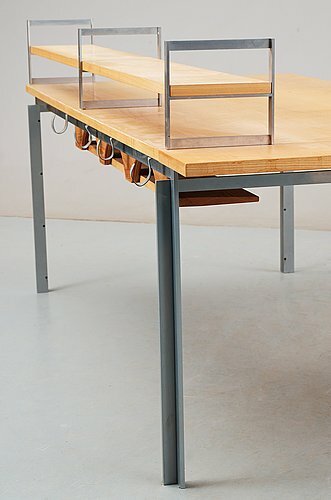 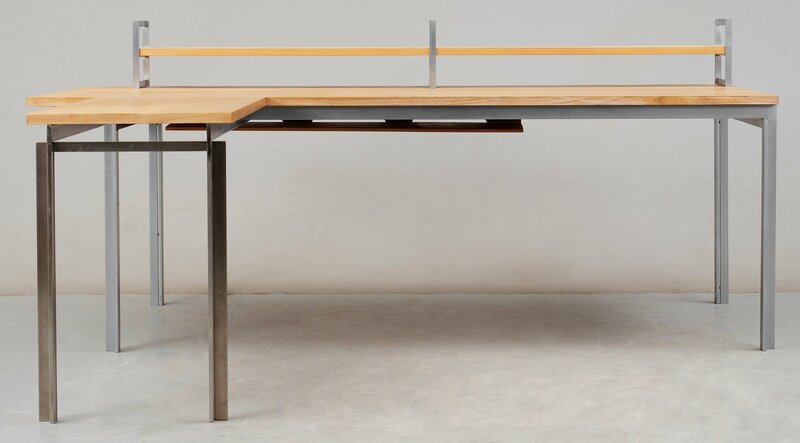 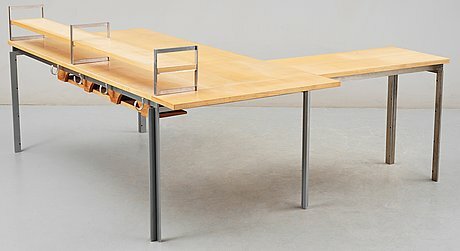 A Poul Kjaerholm ash and steel 'PK-51' desk, E Kold Christensen, Denmark, maker's mark in the steel. 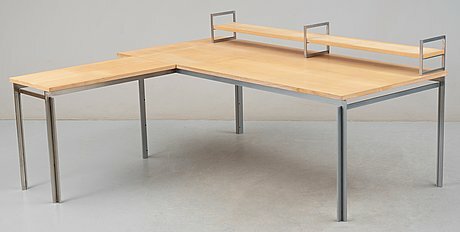 Measurements 180+20 x 90 cm, height 68,5 cm. Wear, later additions joined with screwes underneath, one side with a later added leaf, a later shelf and an extra side table also included.